Even if you’re not an extreme foodie, you may know the name Daniel Boulud. The accomplished Michelin-starred chef is the owner of renowned restaurants around the world and is recognized as one of the best chefs in the US. Just last year (2015) Boulud was presented the Diners Club Lifetime Achievement award by the World’s 50 Best Restaurants to add to his ever-expanding trophy case. 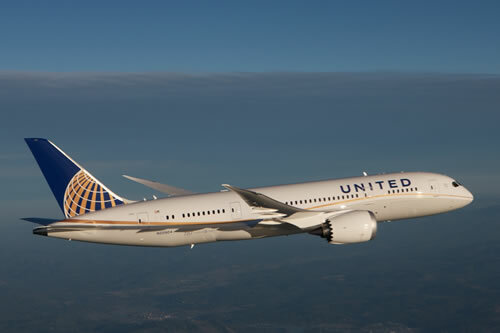 Accolades are typically attached to airline press releases when partnering with celebrity chefs, but Air France Business Class and La Première flyers departing the US get a chef with real name recognition and a lifetime of accomplishment. Earlier this week (3/1/16) flights with Air France Business Class and/or La Première Class* from the US began serving the French-born Chef Bouluds creations. The menu in La Première will offer new dishes every three months for the next year. 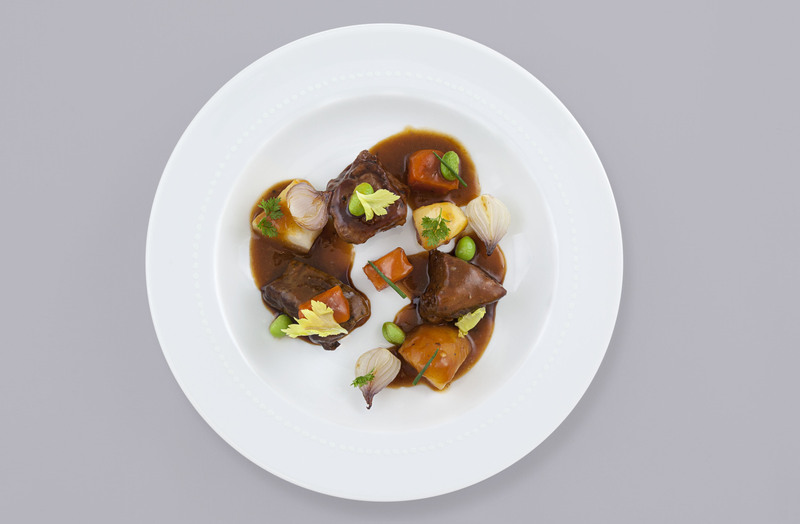 Air France says the Boulud dishes in this most exclusive cabin offer flavors that are “fresh, simple and precise”. If you’re a seafood lover like us, Atlantic Lobster with curried coconut sauce, black rice and bok choy is a great way to start. Seabass in Vine Leaves, Za’atar, Farro and Grape. A little further back, Air France Business Class gets their own Chef Daniel Boulud selections that are “…warm, spicy and exotic but retain their French character”. 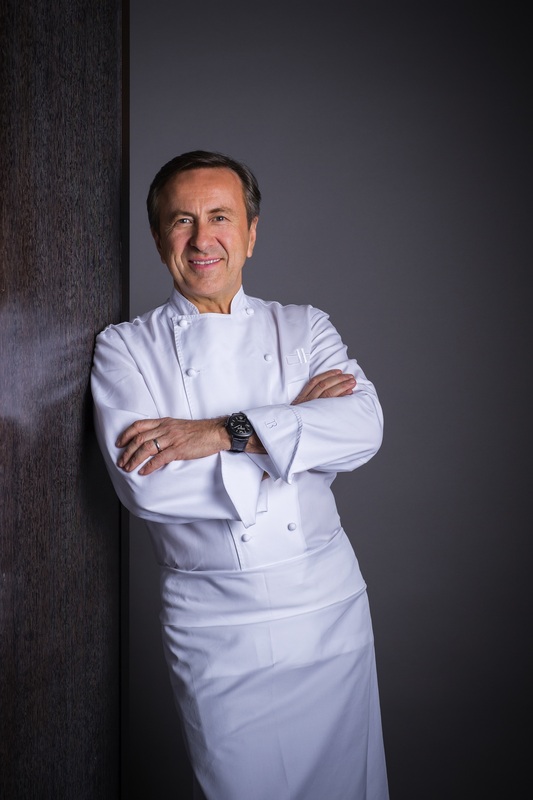 Every couple of weeks for a year one of 4 Boulud’s dishes will be on the menu. 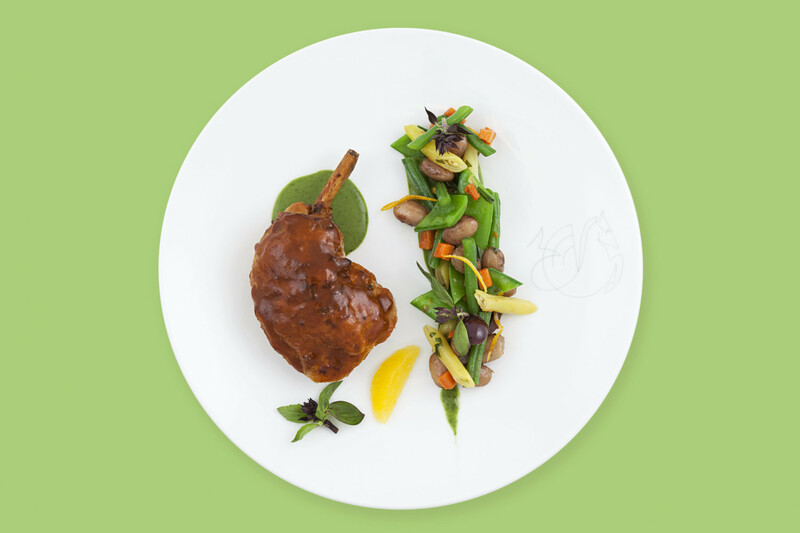 To us, the Braised Lamb with Spring Root Vegetables and Edamame looks mile-high amazing. Braised Lamb with Spring Root Vegetables and Edamame. Here’s an excerpt from an Air France communication that describes Chef Boulud’s dishes that will be offered over the course of the next year in both Air France Business Class and La Première. Put it all Together, and? We’ve got a peek inside La Première too, but look forward to actually hopping on-board and testing Chef Boulud’s food magic for ourselves. For now, Air France is doing it’s best to keep expectations high by pairing their premium cabins with a very well respected and well known chef. If you’ve had the chance to fly up front on Air France or have sampled the work of Chef Daniel Boulud, let us know your thoughts in the comments! Meeting Polaris. 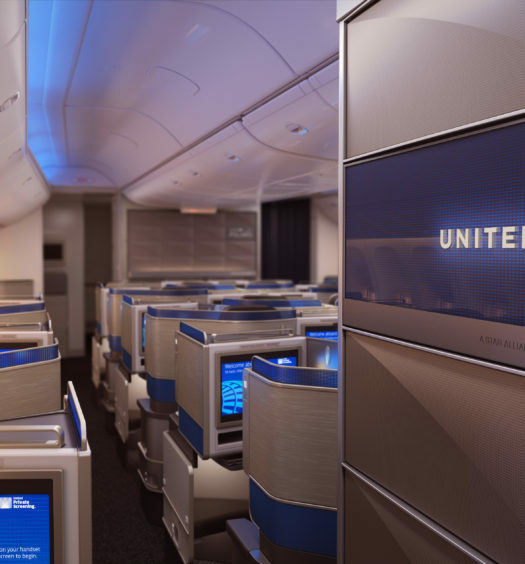 New United Business Class, Part 1: The Seat. I think you meant Daniel Boulud, not Bolund. You are correct! For as many times as I’ve seen his name in lights I’m not sure I’ve ever said it out loud. 😉 Thanks for the heads-up. Fixed.